I haven't played the commercial release of Sekiro yet. I have a copy sitting on my desk, but having spent the last couple of weeks in Japan I'm still playing catch-up with everything that I need to play for review, and we already have a review of the game on DDNet, courtesy of the US Editor, Nick (read it, it's good). But I have played all the "Soulsborne" games from FromSoftware, as well as similarly themed titles like The Surge, Lords of the Fallen... and Nioh's basically my favourite action game in the last ten years. I also did get a hand's on with the game back in the leadup to release. So I'm familiar with Sekiro, and the ongoing drama around the game's difficulty, specifically, the lack of difficulty settings. This happens every time one of these games gets released, and the discussion inevitably spins around two sides: the people who think that the purity of difficulty in FromSoftware titles is essential to the themes and aesthetics of the game, and those who think that difficulty is an accessibility issue and FromSoftware should be under some kind of obligation to allow as many people to play its game as possible. 1) Accessibility is a fine thing to aim for, and I think we should all be celebrating Microsoft for that controller it released, as well as any developer that recognises where its games might be inaccessible, and offer workarounds to players. Developers who include colour blind modes, the ability to remap buttons, an epilepsy-friendly option, the ability to make text and storytelling palatable to those with dyslexia, and so on, should also all be celebrated. Easy modes are another manifestation of that, and I think that developers that do go to the effort to include an easy mode should be celebrated too. 2) There should be games for everyone. I do think that no matter who you are, what your ethnicity is, what religion you believe in, what nation you belong to, what your physical and mental abilities are, and what your gender and sexuality is, there should be a pile of games that appeal to you that is bigger than you could cross off your backlog. Historically the games industry has been bad at that, but it's slowly getting better thanks (for the most part) to the amazing work done in the indie and mid-tier space by very talented game artists. 3) On the other hand, each individual piece of art does not need to be accessible to every single person, and I genuinely don't think we should be demanding otherwise. If there was an expectation that every person of the planet needed to be able to appreciate every art work on equal terms, then we'd end up with a complete homogenisation of art. Video games, being a pop culture art form, do tend to have that greater sense of that expectation, but if you look at opera, or literature, or cinema outside of Hollywood (itself a product of pop culture) then it's simply understood and accepted that not everyone is going to "get" each individual example. The reasons for which can vary wildly, from the deeply uncomfortable themes of some independent cinema through to operas being sung in languages that audiences wouldn't understand. There's a respect for the artist in those spaces whereby people tend to be more willing to accept that if an art work isn't for them, they just won't experience it (and that's okay, because there will always be something else for them). To summarise my own view on the FromSoftware and Sekiro saga, then; If FromSoftware had have put an easy mode into the game and done things to make it more palatable to a wider audience, then I certainly would have supported the team for doing that. At the same time, the creators had a clear vision, and as long as they're willing to accept that that vision will alienate a large number of people - including those that might otherwise have enjoyed the game - then I, personally, respect that decision. That neatly segues to the real purpose of this opinion piece, and I'm about to use a dirty word that I absolutely hate, but really does apply in this specific circumstance - following this blowup I've found myself wondering why there is such inconsistency in terms of the popular expectation of content and accessibility? Why is difficulty an example of content within a game that can have expectations of accessibility placed on it, while so many other games get away with containing content that makes them every bit as alienating and inaccessible... and even if those games get criticised for it, no one is taking the step further to suggest with a straight face that we should be putting pressure on the developers to compromise their artistic vision? I'll give you some examples: Firstly, violence. Mortal Kombat XI is just around the corner, and I know a number of people that find the extreme nature of the violence to be uncomfortable enough that they can't enjoy the game on any level. 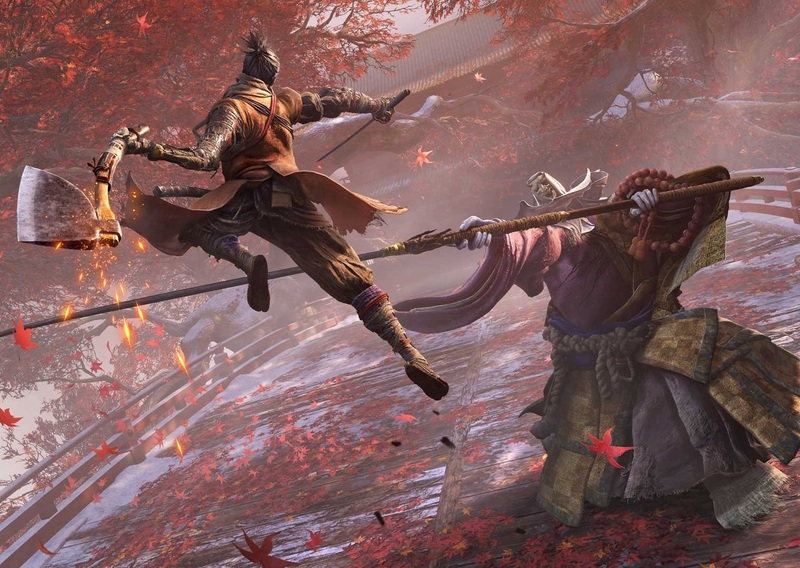 Will anyone suggest that NetherRealm Studios is "disrespecting the player" by not creating a non-violent mode for the game, as one outlet has claimed FromSoftware is being disrespectful with Sekiro? Of course not. Or, a personal example: I can't play military shooters set in the World Wars because I find them offensive to the core in the way they treat this history of those wars and the gravity of the theme. Those games are every bit as inaccessible to me as Sekiro is to someone who can't play hard games, so is that a sign that the developers of World War 2 games need to include an alternate narrative that I am comfortable with? Of course not, and I would never suggest otherwise. I accept that other people enjoy military shooters in a way that I never will, and I can just go play Dead or Alive or something instead. It strikes me as so strange that the accessibility argument is rolled out for difficult games like Sekiro while games that have similarly inaccessible content for other reasons are never criticised for being inaccessible. This is the problem with including difficulty, as one piece of an artwork's content, in a discussion around accessibility. What makes an artwork's content accessible is dependent of innumerable factors which, really, boil down to whether you like what you're playing or not. If you don't like a game for any reason whatsoever, then it's inaccessible. If you're uncomfortable with displays of sexuality, you'll find Dead or Alive inaccessible. (As an aside, yes, Dead or Alive certainly gets a lot of criticism for its sexual content, but that's never framed as an accessibility issue). If you don't like military violence, then Call of Duty isn't a welcoming environment. And if you don't enjoy difficult games, then, yes, you can rule Sekiro out. None of the above is to suggest that you can't criticise Sekiro, of course. If a game's too difficult to be enjoyable for a person, then its difficulty is a legitimate criticism from the perspective of that person, and it's something that other people should accept as legitimate criticism. But to suggest that FromSoftware has some kind of obligation to make its content accessible is going a bit far, especially when we consider that there are plenty of other examples of content that we're quite happy to accept as inaccessible.